6 Hot New Craft and DIY Tools That You Need in Your Life Now! I need more craft supplies like I need another hole in the head. I'm sure most of you can relate! The good news is that I own enough X-Acto knives to take down a zombie apocalypse...if it ever came to down to that. Over the years, one jar of glitter has turned into twenty, two bottles of glue have turned into fifty, and three spools of ribbon has turned into....well, quite frankly, I've lost count. But you know the saying, the more the merrier, right? That's why today I thought it would be super fun to chat about some new craft supplies and tools that have hit the market recently! I always love trying out new products and although I have yet to get my hands on a lot of these items, it's still nice to explore and imagine all the creative things you could make with them. 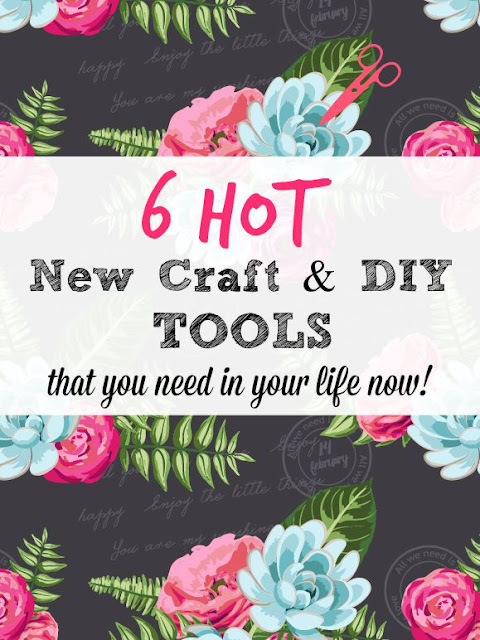 Here's a round-up 6 hot new craft and DIY tools that I'm dying to try out! The Mod Melter from the Mod Podge line is by all accounts a new and improved glue gun. Crafters are all gaga for its built in stand and 6 foot electrical cord. Let me tell you, there's nothing more annoying than a short-corded glue gun that inhibits you from crafting and reaching that box of Girl Scout cookies on the other side of the room. 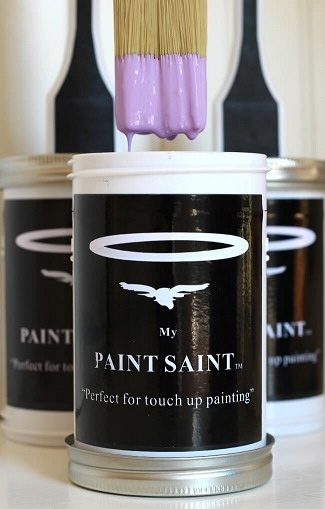 My Paint Saint, is a Kickstarter project, that's just plain genius! This really is one of those products where you' ll think to yourself "Why didn't I think of this?" 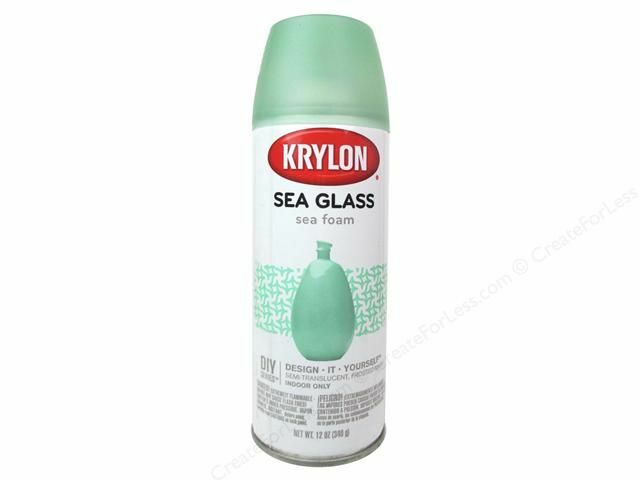 Bring coastal-inspired colors into your home with the new line of Sea Glass Finish from Krylon. There's 8 different finishes to choose from. I think it goes with out saying that I need a little of the Sea Foam color one in my life NOW. The new DIY Decor Tape from Hazel & Ruby is nothing short of fabulous. What's so fun about this tape? The size! Imagine washi tape but larger....think 4 to 24 inches wide! The possibilities of what you can do with this tape is endless. 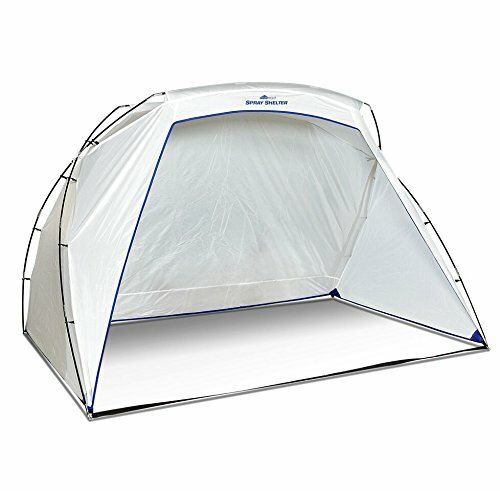 Here's one of my favorite project ideas. Have you ever laid eyes on a tool box cuter than this? No, no you haven't! You can check out more super adorable Hazel & Ruby tape ideas here. When it came to divvying up genes, my brothers got the artistic ones. 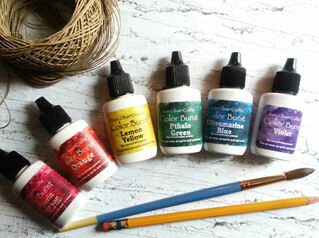 The watercolor wannabe in me is super intrigued by these Color Bursts from Ken Oliver Crafts. Apparently, all you need to do is spritz and sprinkle (coincidentally that's also the title of the new potty training book I've been working on). This is perfect for those of us who are spray paint addicts and are looking for mess-free ways to paint with out creating graffiti all over our garage floors and cars (not that I would know anything about that). Melissa from a Prudent Life shared a very informative review of this product here. Did I miss anything? Have any of you tried any of these cool new products? Which one would you love to try out? PS. I'd love to hang out and chat with you over on Instagram! I'm also on this thing called Facebook too. **This post contains affiliate links, which means if you decide to make a purchase through my link, I will receive a small commission for it. This doesn’t cost you anything additional. This in no way affects my opinion on these products. Thanks for supporting my cheap wine and craft habits. 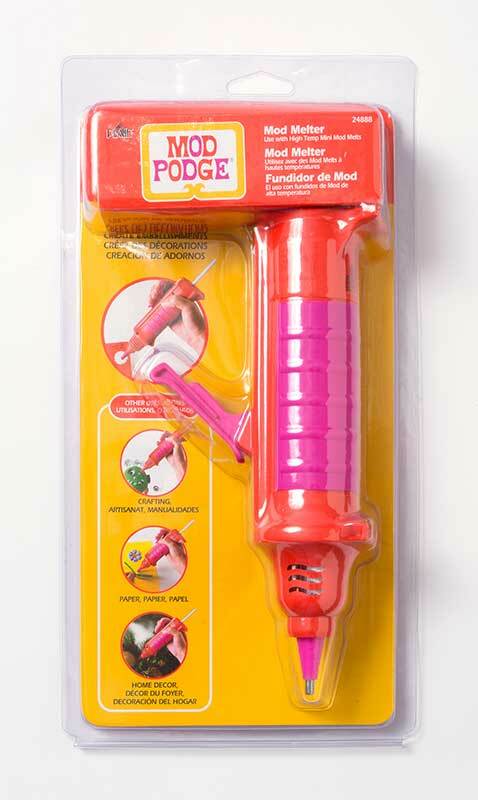 Hey there Jennifer- I'm gonna have to warn your crafters who follow you and give my 2 cents on the Mod Melter from Mod Podge. I ordered this a few weeks ago, when it was first released and had to return it twice directly to the company. It is really not well made, in my opinion. The handle on it broke twice and the glue sticks would not load. I was really looking forward to using it and while the design looks so much better for easy use (slender and love the precision tip) but sadly it was very low quality for the construction of it and I really don't recommend it. I ended up just buying up on a much more expensive florist type glue gun that has similar features and is much better quality. Just letting you know, I don't think it would be a good recommendation for your crafters. Hope this helps. I need to find that sea glass paint pronto!! Thanks for that information Jill Hayes!